This maple cheesecake is a nice departure from the pumpkin cheesecake that graces most Thanksgiving tables. 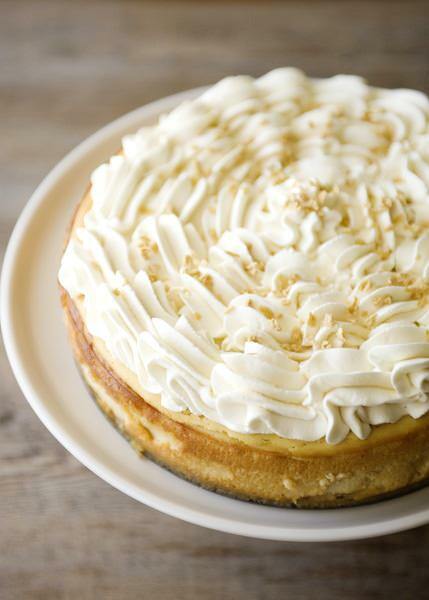 No doubt, pumpkin cheesecake is delicious, but this maple version is truly something special. I made it for a party that I had at my house, and everyone raved about this cheesecake. They could not exactly put their finger on what the flavoring was, which is good, because sometimes maple can be incredibly overpowering. This is delicate, creamy, and rich. I found these cool dehydrated maple flakes at Williams-Sonoma, and they were the perfect garnish for this cheesecake. Cheesecake is the perfect make-ahead dessert. You can make it a month ahead of time and freeze it until you are ready to use it. Defrost the cake in the refrigerator for 24 hours and then you are good to go. 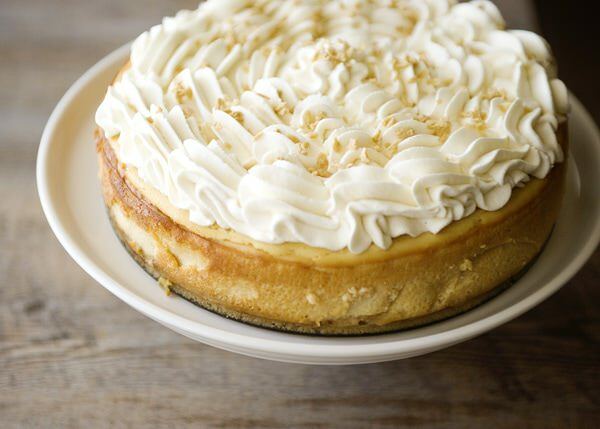 Cheesecakes are also really easy to make. The hardest part is getting the cooking time right. I always have to fight with myself to not overbake a cheesecake. It will look like the center is not cooked, but it is. You just have to trust. If you overbake it, it will lose its creaminess, and that is what cheesecake is all about. No matter when you make a cheesecake, you need to make sure that you give it enough time to chill in the fridge. 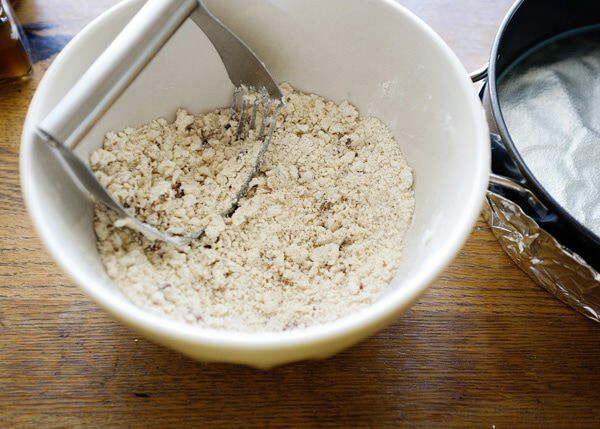 It is a very important step and unless you start baking it in the morning, it needs to be made the day before you want to serve it. 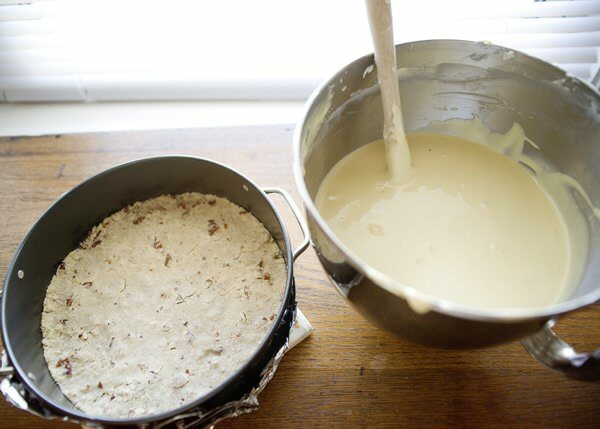 Combine the flour and brown sugar. Cut in the butter using a pastry cutter and add the pecans. 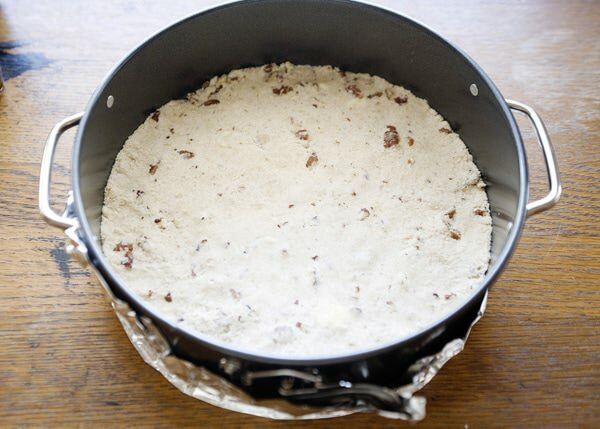 Press the mixture into the bottom of a 10-inch springform pan. Bake in a 350 degree oven for 10 to 12 minutes, until lightly browned. Cool completely. 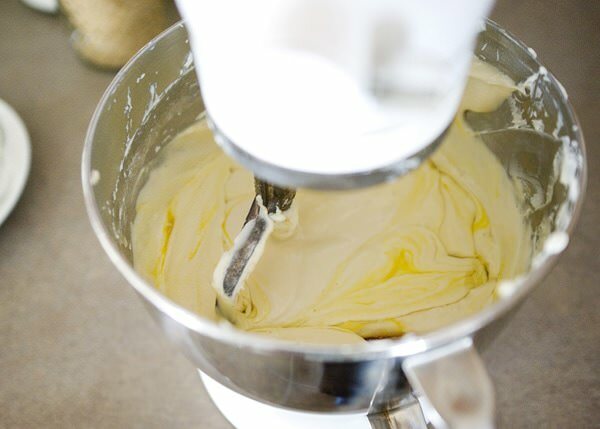 Combine the cream cheese and mascarpone cheese in a stand mixer. Beat until smooth. Add the brown sugar, maple syrup, half-and-half, flour, and vanilla. Mix well. Add the eggs, and beat until just combined. Pour the cheesecake filling over the cooled crust. 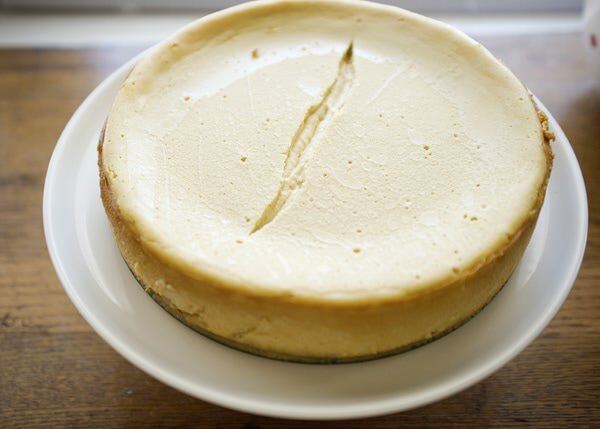 Bake for 35 to 40 minutes or until about a 3-inch area around the cheesecake is set and the middle still jiggles. Cool in the pan for 15 minutes. Gently run a knife around the edges, and remove the ring. Cool for 2 hours, and then cover and chill for at least 4 hours, preferably overnight. Mine cracked a little. So I made a maple flavored whipped cream to cover it up. No one was the wiser. 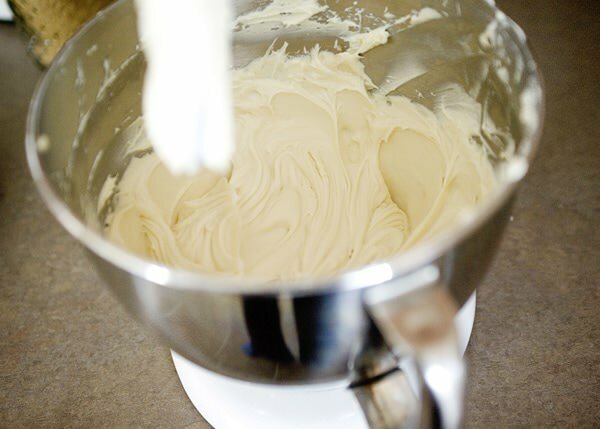 Whip the heavy cream and Whip-It until soft peaks form. Add the maple syrup and vanilla and continue to whip until it is thick. I put mine in a piping bag and piped it over the top. Sprinkle with maple flakes. 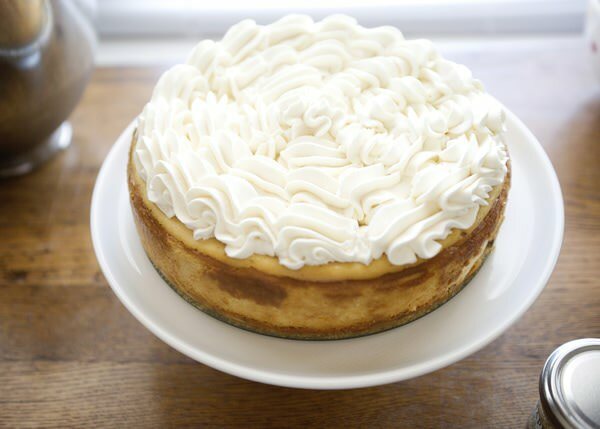 You can make the cheesecake a few days ahead, or even freeze it for up to one month, but I would add the whipped cream the day that I was serving it. 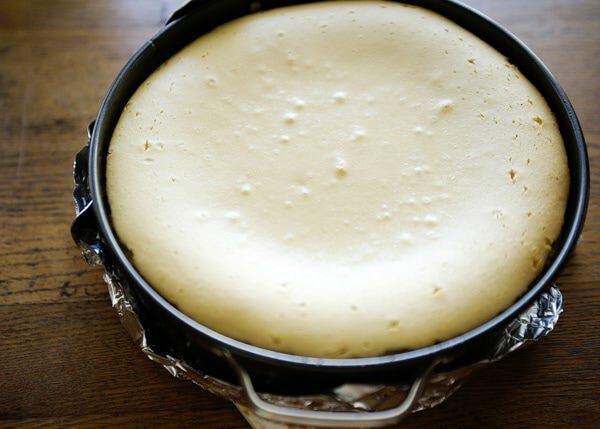 Bake for 35 to 40 minutes or until about 3-inch area around the cheesecake is set and the middle still jiggles. Cool in the pan for 15 minutes. Gently run a knife around the edges, and remove the ring. Cool for 2 hours, and then cover and chill for at least 4 hours, preferably overnight. This looks AWESOME! I love maple, it is easily my favorite fall flavor. Might have to be on my thanksgiving list. This was such a hit when I made it, and a nice change from the pumpkin that everyone serves. How was this for sweetness? Was it too sweet with the brown sugar and maple syrup? It depends on your taste, but I don’t think so. Nice fix on the cracking, they crack so easily! yes, they really do. I have sort of given up on caring about if they do or not. Life is too short, right? Cheesecakes are great because they have to be made ahead of time. And they are really easy and you can flavor them a million ways. It was amazeballs. I made it for a party and it was gone before I really got to have a real taste. SO pretty! AND sounds divine! Oh my gosh, you might have just changed my pumpkin cheesecake plans. I love the pecan crust! this is a really special cheesecake. I was surprised at how amazing it was. This looks heavenly! What a lovely winter take on a classic dessert! I’m adding this to my ‘must-bake’ list right away! 🙂 Thanks for sharing! Ok… so I did use a shortbread pre-made shell… with that…I had enough to make 2 cheesecakes… I only have 1 left… they were not even chilled yet and my husband, and 2 oldest kiddos LOVED this. Thank you again Bree… Happy Thanksgiving!!! I am so glad! Happy Thanksgiving to all of you! You are welcome! This is a really good cheesecake. It was gone in minutes when I made it. I made this for Thanksgiving – just a hint of maple flavor. Everyone loved it. I am so glad Vera! The cheesecake looks so delicious! My son is allergic to nuts, can i substitute the crust to a regular graham cracker crust? Of course! Or just leave the nuts out. I just found this recipe on pinterest. It sounds so yummy. I didn’t know that cheesecakes could be frozen. I can’t wait to try it. This was the first cheesecake I ever made and it was AMAZING! Thank you! I used gluten free flour and no one could tell the difference. Congratulations! This a really good cheesecake recipe, love it. As always Bree your recipes are amazing, I know that if I want to try something new, I can trust your recipes to deliver, so thank you. I loved this cheesecake, as did everyone who tasted it. I’ve been making cheesecakes for a bit now and they never crack due to the water bath I bake them in, and this one didn’t either. Can I just ask what tip you used for the piping? How sweet are you? Thanks so much. I am so glad that you liked this cheesecake, this one is amazing. This is delicious! I made it last year and am just going to the market now to get all the stuff to make it again! This one is good! Glad that you liked it enough to make it again! Hi Bree, I made this cheesecake a couple of times, it was amazing, everyone loved it, so thank you! It shouldn’t change it too much, the baking time might be different. I wouldn’t play with the recipe at all. Your instructions say to bake for 35-40 minutes. But, at what temperature? The nuts go in the crust, right? I didnt see them in the directions. I thought Heather was dairy free. I don’t understand why all the recipes with dairy. Anyone know of a site that is completely dairy, gluten and nut free? I have no idea what you are talking about. I have never, ever advertised as dairy, gluten, and nut free. I made his today, and added fine ground coffee beans to the cheesecake batter for some coffee flavor. 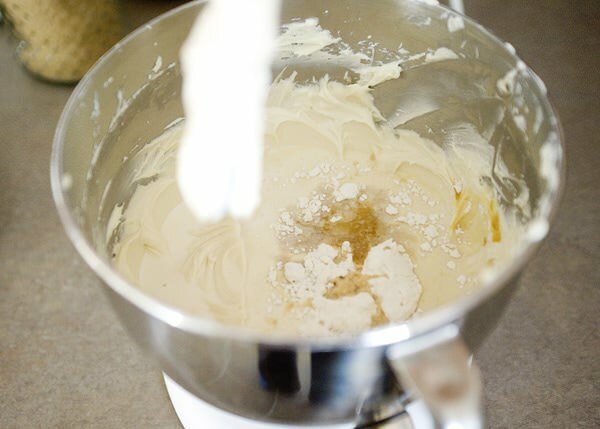 The cheesecake batter tasted so good! For the crust, I used chocolate graham crackers, a little ground coffee beans, butter and a little brown sugar. It just came out of the oven! I hope it’s as good as it smells in my kitchen! 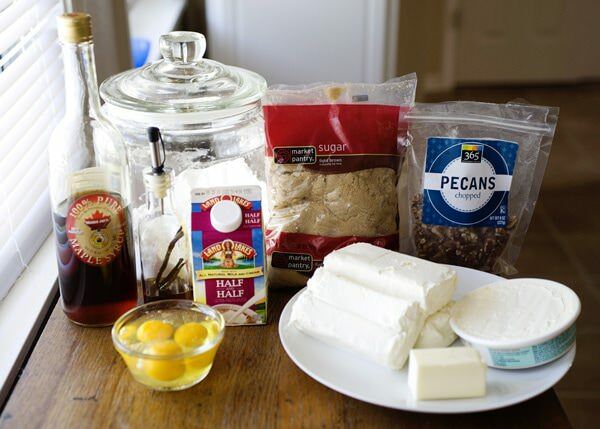 Oh – I also used 4 packages of cream cheese because I didn’t have mascarpone. I just tried the cheesecake I made last night and it came out amazing! The dark chocolate flavor of the crust is perfect with the creaminess of the cheesecake. It’s overall not too sweet. I used 1/2 cup of brown sugar instead of 3/4 cup. I can’t even tell that i used less.